And it's not getting much better in Forsaken. The latest post in Bungie's weekly update has detailed a number of fun Destiny 2 statistics, collected since the launch of Warmind back in May. The summary comes as a build up to Destiny 2: Forsaken which will conclude the current third season of play. 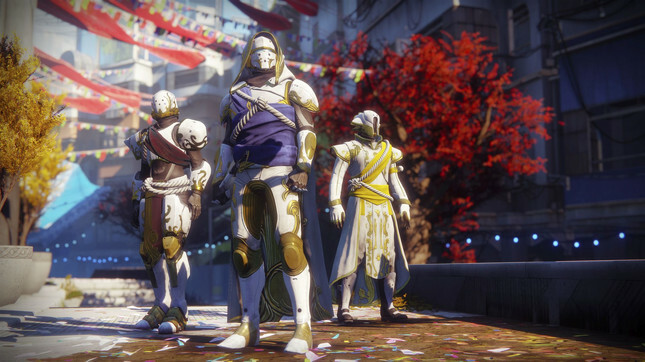 The staggering figures included each of the three classes pledged during the Faction Rally events and as well as the number of times Leviathan had been cleared on both Normal and Heroic difficulty. The most standout figure however, was the number of shaders deleted by players since May; 807,635,124. For those not familiar with the process [you lucky souls] shaders are the vanity token that colours a Guardian's armour and weapons. There's a wide variety available, and players earn them in abundance – resulting in stacks of unwanted tokens that can accumulate into the thousands. Shaders can only be deleted one-by-one, and each deletion takes a full one second to complete. Reddit user SlickeryV has saved you the hassle of doing the math: it equates to 25 years. The kicker here is that the promised mass-deletion coming in the upcoming expansion will only put a dent in that figure. While answering a number of lingering questions in a lengthyQ&A with Game Informer, project lead Scott Taylor and game director Steve Cotton note that players will be able to delete shaders in groups of five at the Cryptarch. So those looking to clear a stack of 1000 in a single second are out of luck. Tying the process to the Cryptarch also means players will be unable to mass delete while in orbit waiting for match-making. Here's hoping that gets some further attention in the coming weeks [heck, I'd even take an update post-release]. Releasing September 5, you can preorder Destiny 2: Forsaken now at Mighty Ape.